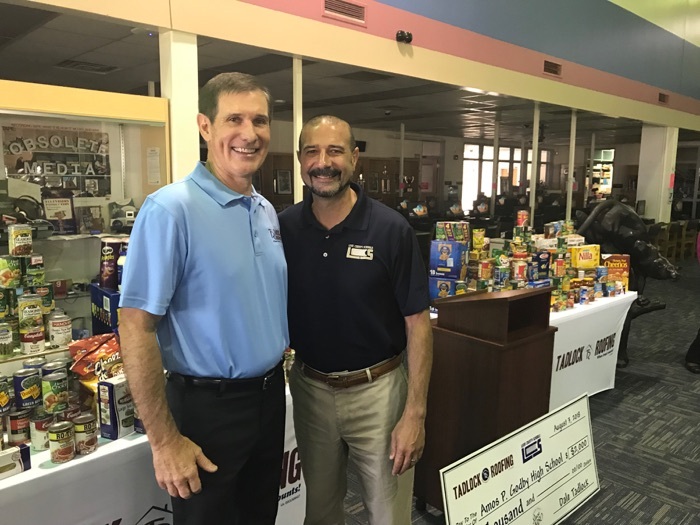 According to Second Harvest of the Big Bend, Leon County ranks third for food insecurity of the state’s 67 counties, and “It’s only getting worse,” says Rick Minor, executive director of Second Harvest. 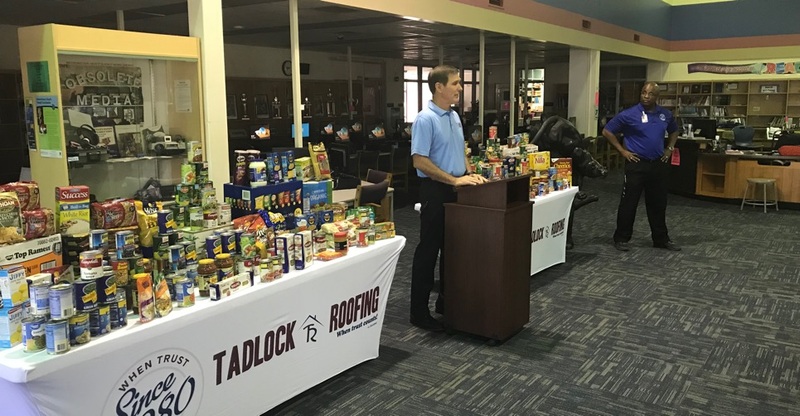 The closing of two supermarkets in Northwest Tallahassee are being blamed for leaving thousands of residents with no nearby source of healthy foods. 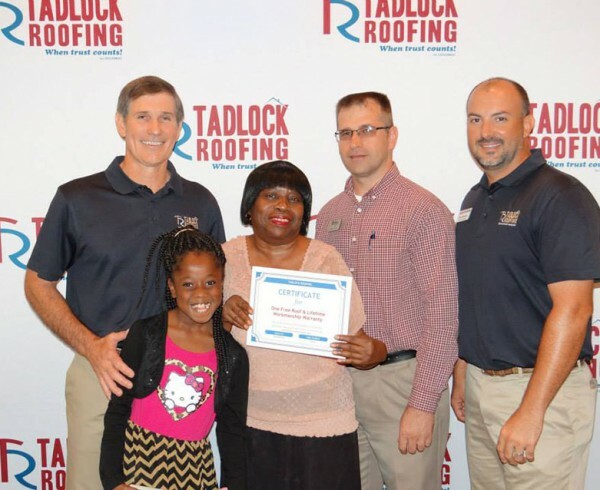 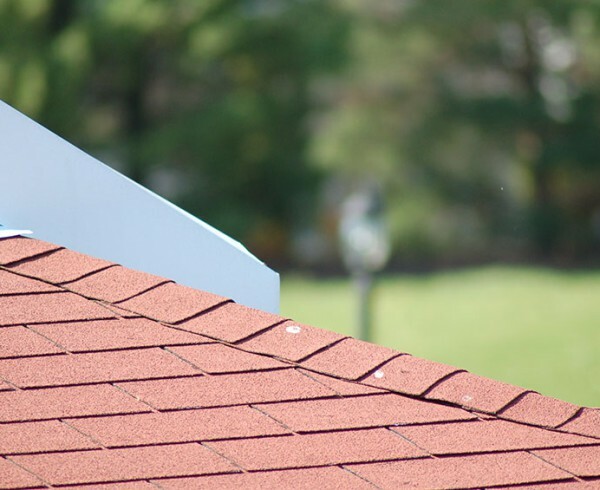 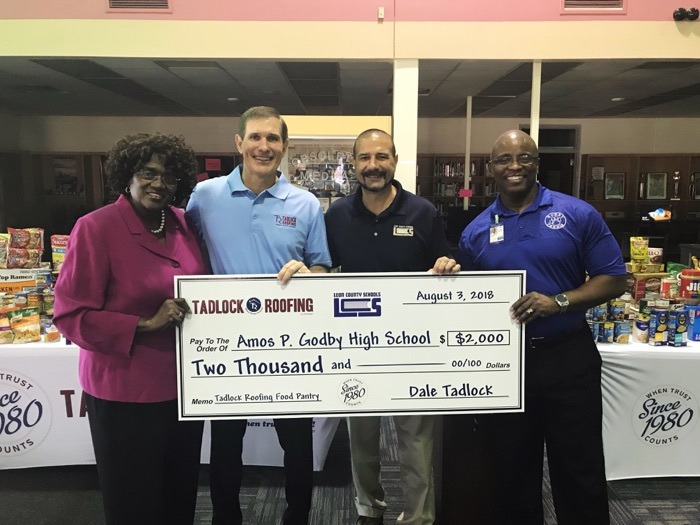 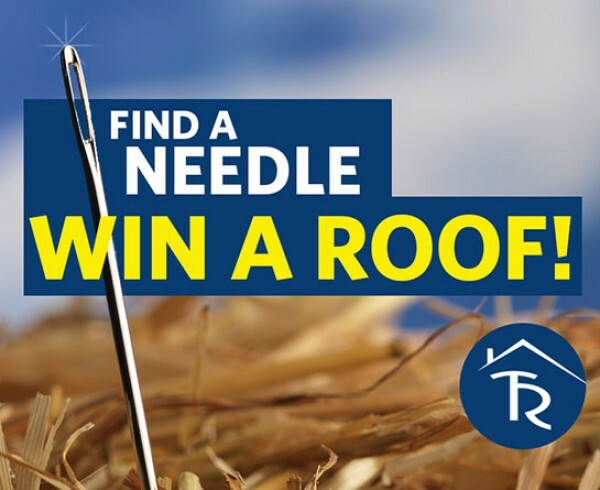 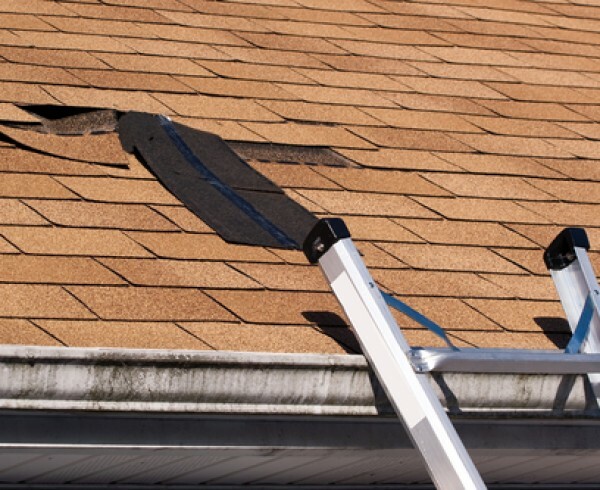 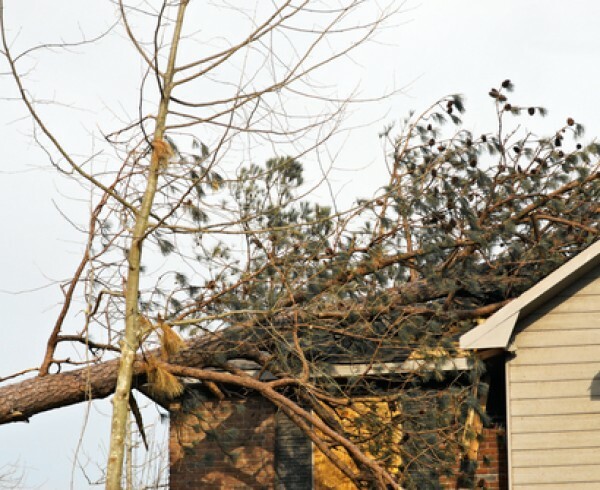 Leon County Schools made local roofing contractor, Tadlock Roofing, aware of the need at Amos P. Godby High School, and Dale Tadlock, president and owner, is rising-to-the-occasion. 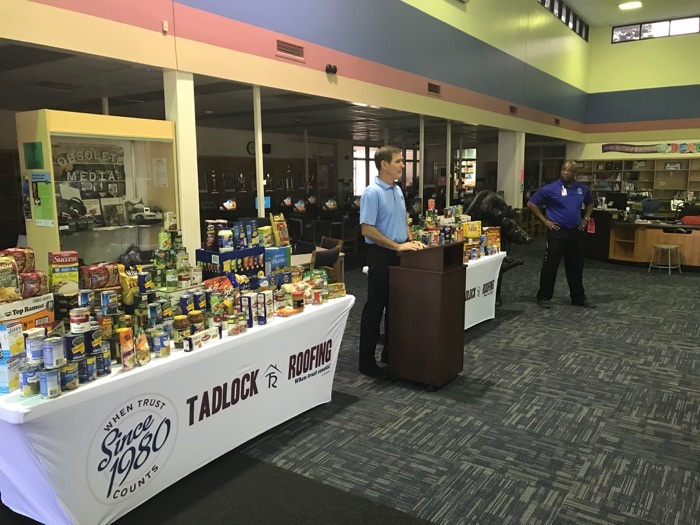 “These are children who don’t have a lot of food to eat so getting the proper nutrition is going to not only help them perform better in school but also make them healthier individuals,” says Tadlock. 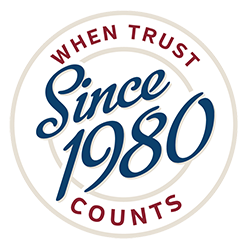 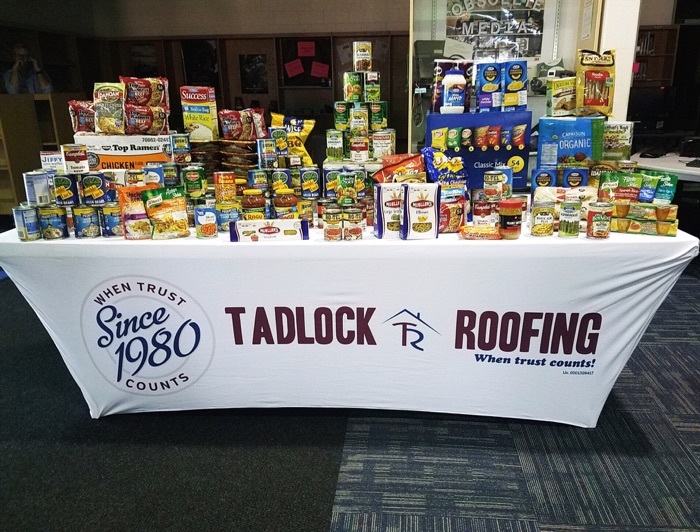 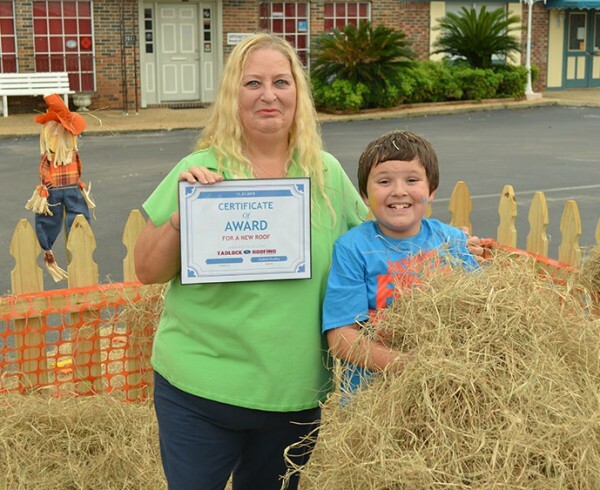 Tadlock Roofing held a two week food drive, July 16-27, aiming to collect 2,000 nonperishable, approved food items and succeeded. 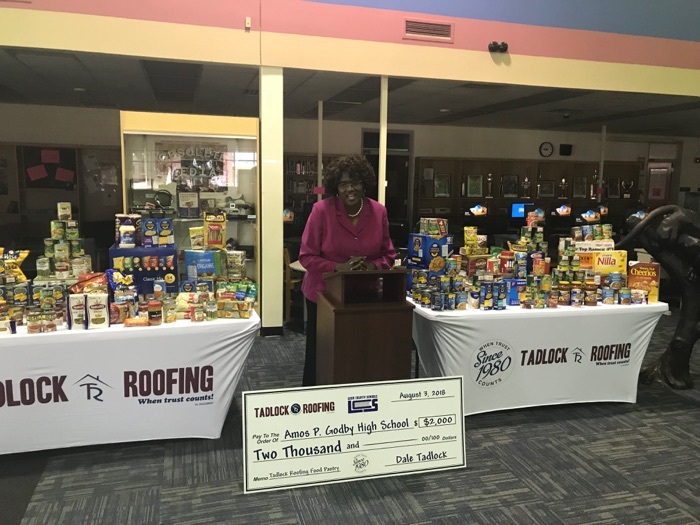 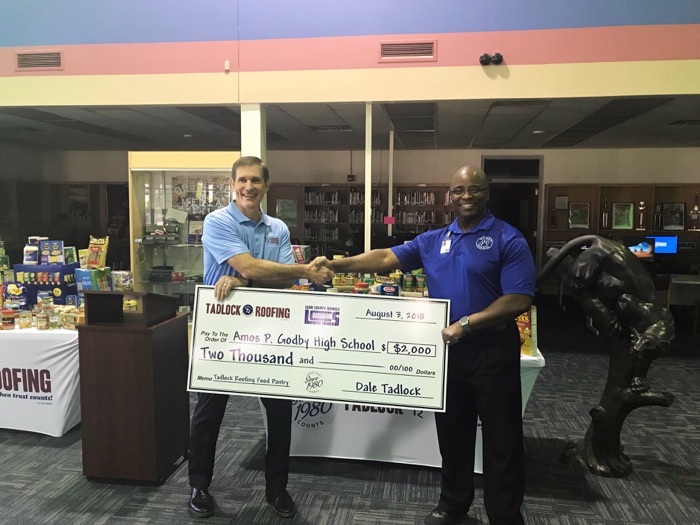 On August 3 at 10:30am, Tadlock presented Amos P. Godby Principal, Desmond Cole, with a $2,000 check on behalf of Tadlock Roofing along with the 2,000 community-funded food items to supplement the school’s needs.